"Front and back and front and back, side side, and side and side and tippy toes...now add some hips hips to it!" Within a minute of entering I found myself moving to the rhythm of Salsa. Somewhere between the putting my hips into it and being amazed about the fact that I was actually able to put my hip into it I knew this was going to be a fun evening!! I am talking about the European day of Languages being celebrated at various places throughout the country on September 26th. My preferred choice was Eton institute where I have previously taken a course in Italian. As I walked in I was told about where all the celebrations were being held. The first room I walked into was Spain! I was greeted with a big 'Hola' and showed around the room. 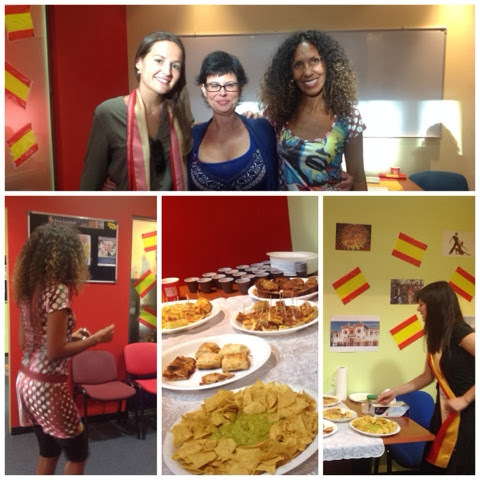 Everything from the Spanish flag to the famous landmarks and festivals of Spain was portrayed all over the room. They had an amazing Spanish spread with potato omelettes, lemon cake, guacamole, tomato soup and even sangrias (virgin ones.. It's is a place of education after all!). After learning a few basic moves of salsa, it was time to pack my bags and fly to the next country...Romania! While entering Romania, I could only think about two things, one that I know very little about Romania and two I have only ever interacted with one person from Romania, that I know of. The instructor had her family and friends present to help us understand the true essense of the Romanian culture. Her kids were dressed in the traditional attire complete with a hat, typical of the Southern part of Romania she comes from. 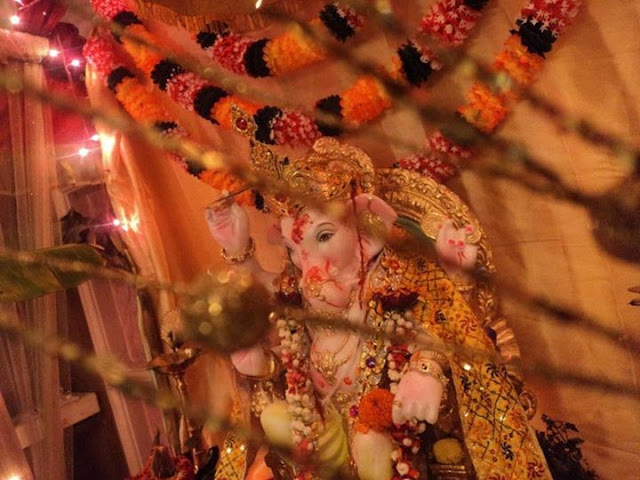 She had homemade traditional sweets made for everyone to savour. I cant remember the names, but one had a sour cherry filling in it and was dusted with sugar. The other was a sweet breaded thing with chocolate inside. She also had the traditional crafts, like the painted eggs on display. There were also little handouts for kids to colour and learn more about. Daniel holding a colouring here was a true artist and gave me this colourful depiction depiction of his culture. With this master piece in hand, it was time to jet set to the north western parts region of Europe. My next stop on the journey was Netherlands. Here I learnt about the new Dutch King and his family. I was also show the similarities between the Dutch, Russian and French flags, where the same three colours are used in different ways. Food wise speaking I was told that waffles originated from the Netherlands, along with a certain flavoured nut that was manufactured only in the Netherlands. I also had the opportunity to taste the famous Dutch candy called 'buttons.' With that it was time to hop on the European express and make my way to Russia (picture on the right). 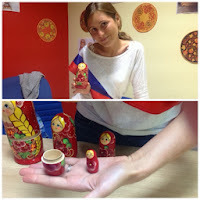 Russia is symbolic for its vodka and the Russian dolls. What a lot of people don't know is that Russian dolls are not a part of the ancient Russian culture, rather were incorporated into the culture since the 1850's. Here I was introduced to the famous Russian honey cake, which was very light and fluffy and full of flavour. With the Russian flavour covered it time to say dasvidaniya to Russia and make a quick stop at France before leaving for Germany. Salut! It was time to reach the city of romance Paris! When I reached Paris everyone was partaking in some melodious karoke. Dancing and enjoying the festivities. With that it was time to say 'au revoir' to this entire region of Europe and drive off to Germany. Did you know Kinder was German? And so are gummy bears! I did not! Germany was full of surprises, from being adorned with this hat to taking a quiz and not failing at it. I was welcomed into the German culture with smiles galore and explained about the various aspect of Germany including pretzels. 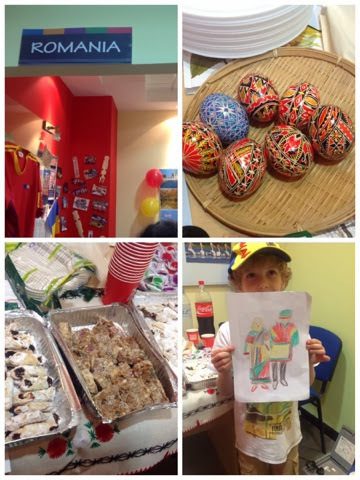 We also spoke about Oktoberfest, the Black Forest and frankfurters and how to greet each other in German. With that I was off again to the second last destination of my Europe tour. Welcome to ITALIA, the land of pizza, football, Donatello, Pavarotti, Moda and so much more that the list can go on and on. Italy is one of the well know European languages of the world and a cultural hub, which is exactly what this section portrayed. I was welcomes with warm hugs by my and other instructors as I greeted everyone in Italian. My instructor was glad to see and put my Italian to the test, good thing I was practising. I was treated to home made bruschettas and rotula de nutella, which was devine (Fun fact, Nutella is Italian) and my favourite pizza. Soon I was karoking to an Italian song and applauding the instructors for their rendition of Con te Partiro (Time to Say Goodbye) by Andrea Bocelli (check out the videos below). It was time to take a look at my compass and set sail to my final destination for the night Great Britain. Great Britian is a place that needs no introduction, from Queen Victoria and Princess Kate to The Beatles and David Beckhman, this country is always in the news. 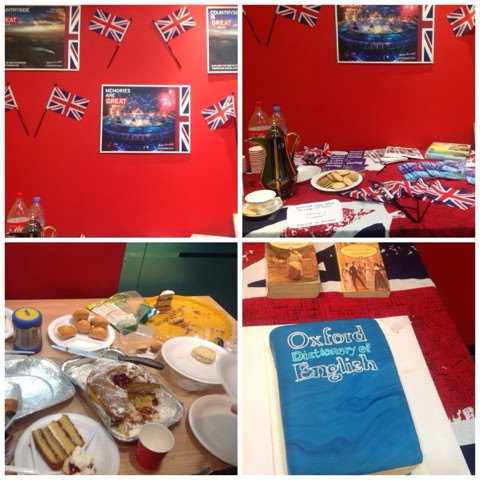 The walls were adorned with their national flag and the table with classic English food an tea. We all know scones are English but apparently chocolate chips scones are not. Traditional English scones are plain and served with jam and cream. More on offer was a Victoria cake with two different fillings, muffins and a dessert called Eton mess (cant help notice the name of the institute is Eton as well, coincidence? maybe maybe not). After an interesting conversation about food and its preparation it was time to cut the Chocolate marzipan cake shaped like the oxford dictionary that bought the festivities to an end (I was stuffed and sadly could not taste this brilliantly designed cake). Moral of this story: A language is not the key to communication rather the will to learn and engage is what get you across to people, but it does not hurt to learn something new. So if you have been thinking of learning a new language why not head to an institute near to you and enroll right away.